A big part of having a happy healthy child is having a regular and consistent sleep routine. Because of busy schedules, homework, lack of a routine, etc. children often don’t get enough sleep. The amount of sleep required by children is more than adults need and may be surprising to some parents. The American Academy of Sleep Medicine has made these recommendations: Preschoolers 10-13 hours, Grade schoolers (age 6-12) 9-12 hours, and teens 8-10 hours per night. Lack of sleep can cause many different problems for children such as headaches, irritability, lack of concentration, and even depression. The well rested child will be able to do much better in the school environment than the one that is tired and lacking sleep. For some parents it may appear that their child isn’t tired until later at night this may be one reason you don’t think your child needs that extra sleep. Don’t let this fool you. Even if your child doesn’t show signs of being irritable or cranky from lack of sleep, they could still suffer consequences. Children are still growing and need that restorative time so their brains and bodies can grow. Researchers have found that lack of sleep in children could negatively effect their brain development (Lack of Sleep May Disrupt Development of Child’s Brain, National Library of Medicine, Nov. 2016). Because this is such an important aspect of your child’s life, parents are encouraged to find ways to create healthy routines. One way to ensure your child gets enough rest is to determine what time they have to wake up in the morning and then set a bedtime that allows for the appropriate amount of hours of sleep. For example setting an 8:00pm bedtime allows your child to wake up at 7:00am and get 11 hours of sleep. Once the bedtime is set, it is important to stick to it and follow a routine. A routine can be as simple as telling the child when to start changing, brushing teeth, etc. so that they can be in bed by the set time. Some parents like to include a story at bedtime as well. If you do this, make sure you start your routine with enough time so that it can end with your child getting into bed at the time you decided upon. If you follow the same routine on a regular basis, then you will find it starts to flow more naturally and helps the child recognize when it is getting close to time for bed. This will help with falling asleep faster and getting the rest that is needed for a happy and healthy child. Categories: children, Family, holistic, Mental Health, Parenting | Tags: Sleep Routine | Permalink. Categories: children, Family, Happiness, Joy, Parenting, Uncategorized | Tags: Joy of parenting, Parenting, Parenting Tips, Rhythm | Permalink. 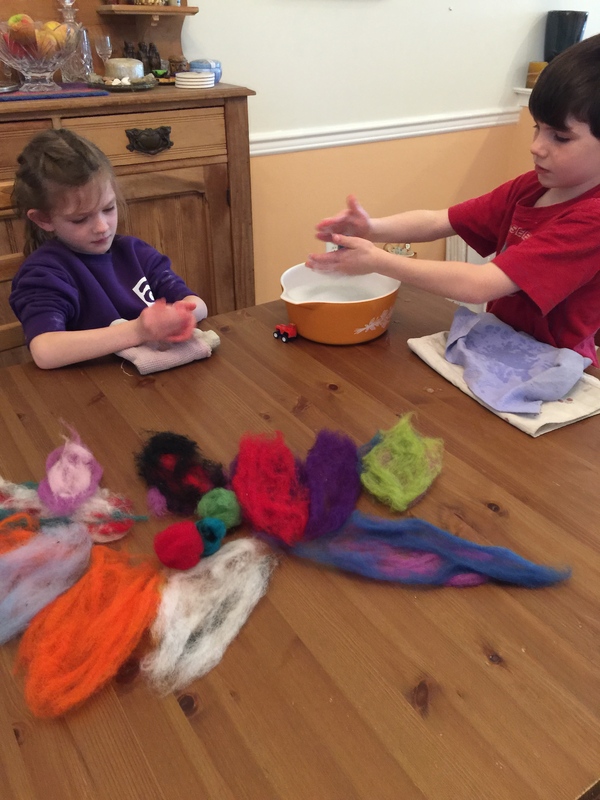 Wet Felting- This is an activity that can be done with all ages. 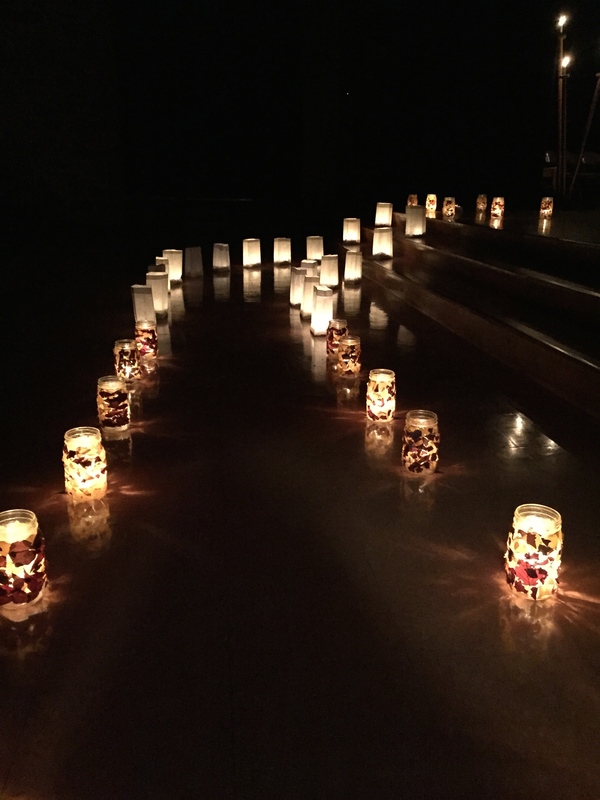 It’s fun for adults and children and helps to incorporate sensory activities with artistic expression. 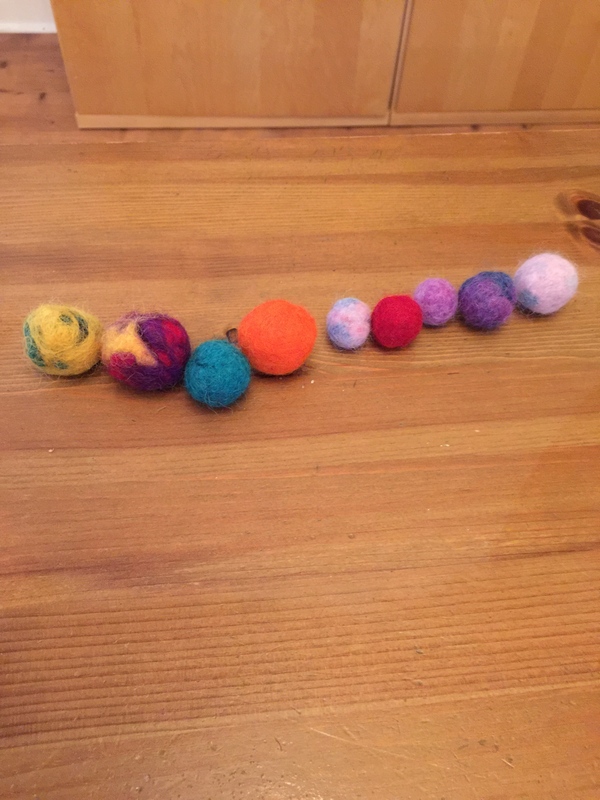 You can create something out of your wet felted balls or just make them for fun and use them to play with. The possibilities are endless. The reason for incorporating these instructions on my blog is to allow families, parents, caregivers, etc. ideas of activities that you can do with your child that are not centered on media. This activity is great for those that need more sensory experiences as well as those that like to get messy! The first thing you need is some natural wool. It can be any color that you choose. After you have selected your wool spread it out so that it looks like a flat piece. 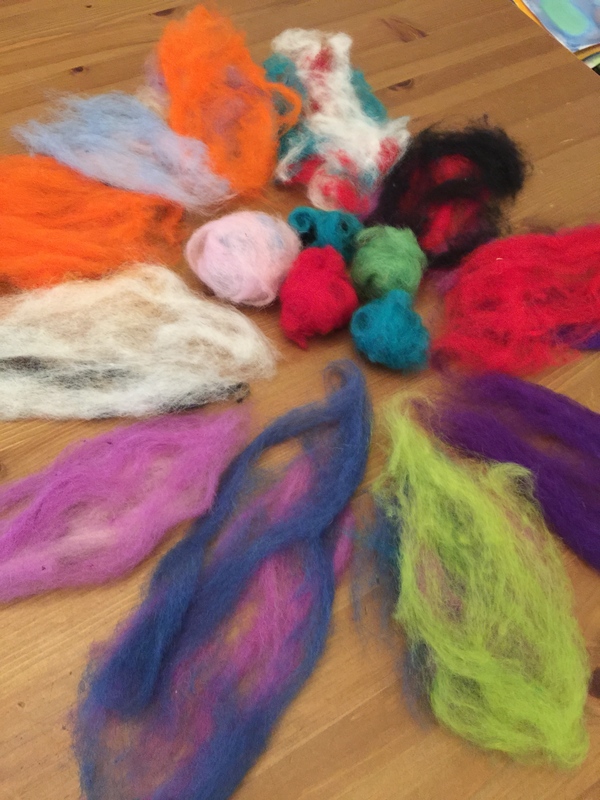 If you want to mix colors lay the colors together making one flat piece of wool. See the picture above that has several pieces with mixed colors. You then start to roll the wool into a ball keeping it as tight as you can. This is the basic shape you will start with. Once you roll it into a ball you will need two bowls of water. The first bowl should be as warm as possible but still comfortable to put your hands in. Add a few drops of liquid soap to this bowl. This will help with agitation. 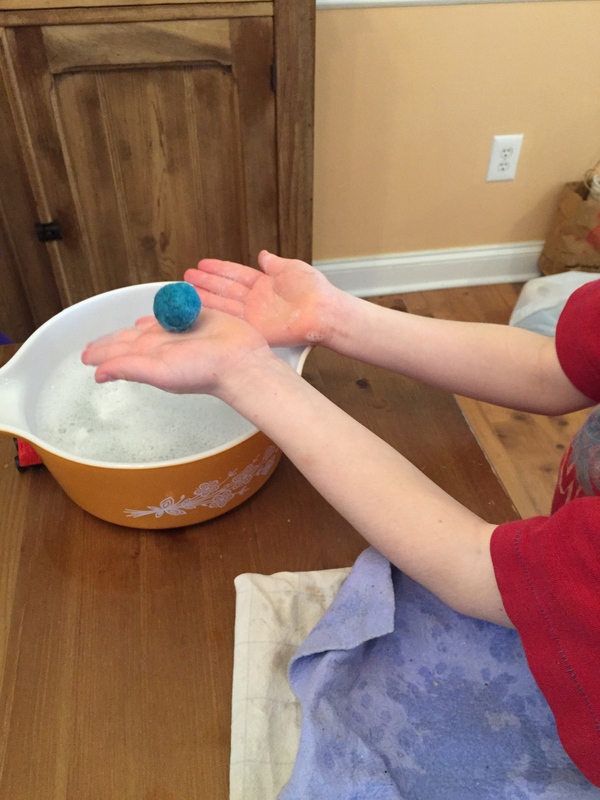 You want to put the ball into the warm water and roll it around with your hands. Keep rolling. This helps the fibers of the wool to start “felting” together. This will make the ball stay in the shape of a ball. When you have the ball as tight as you like you then stick it in the cold water. This will help the felted ball to set and you will be rinsing out the soap that’s in it. If you want to get it a little tighter you can also “shock” the wool by putting it in the cold water and then go back to the warm water to continue working on it. You can make as many as you like and use them for counting games, garlands, decorations, necklaces, anything your imagination allows. Categories: children, Family, holistic, Parenting | Tags: Children, holistic activity, media free activities, sensory activity, wet felting | Permalink.